Sound familiar? You are out and about and see the leaflet for the Suffolk Walking Festival and think…that’s a good idea I’ll do that and before you know where you are your leaflet has been buried under a pile of paperwork at home and when you find it the Walking Festival is over! Determined to be organised this year I didn’t bury the leaflet as I have done in previous years, as soon as I got it home I went through it and booked on some walks and I am so glad I did! Before I go any further …it’s not too late the Walking Festival is on until June so if you can’t find your buried leaflet click here to visit their website but hurry as some of the walks are booking up fast! Wondering if the festival is for you? Well as a first timer myself this year maybe this will help you decide; At first glance at what was on offer, I was delighted to see that the walks were wide ranging for all abilities – I really had no excuses not to book! One of my main reasons for booking this year was that I am currently working my way through my Suffolk Top 50 Challenge and the Walking Festival is on the list. 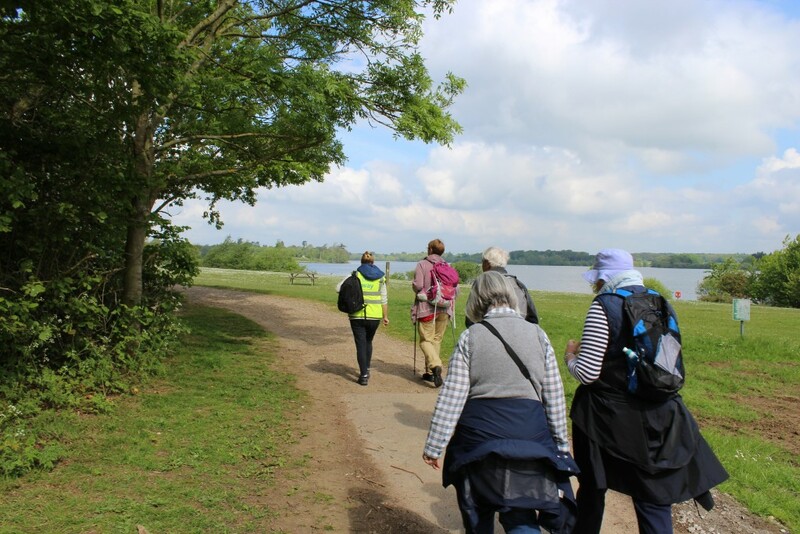 I couldn’t believe my luck when I found out that Alton Water, another of Suffolk’s Top 50 was also on the list so you guessed it, I booked myself on the Festival’s Alton Walk Amble! Suffolk Walking Festival, 2016….. and we are off! The walk was led by two experienced walk leaders who were really friendly and pleased to be taking us out on our mini expedition! We had a gentle 3 mile stroll in which we were able to take in some of the wonderful sights of the reservoir before coming into some woodland areas and stopping briefly in one of the hides for a spot of bird watching. I picked up some tips from some of the other walkers on what birds to look out for as we waited quietly in the hide looking out onto the wonderful tranquil water. I failed miserably at getting any photos of the birds – except a duck! We then headed back to the cafe for a well earned cup of tea – a great finish to the walk! 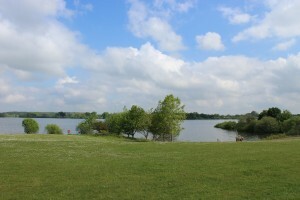 Alton water is a great day out, ideal for a picnic and you could easily spend all day there. More to come in a future blog soon. 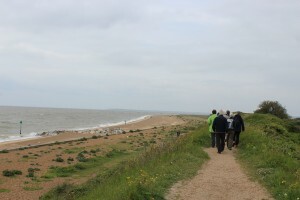 My second walk was ‘A Point Well Made’ at Landguard Nature Reserve. Felixstowe is a whole new area of Suffolk to me that I haven’t really explored. 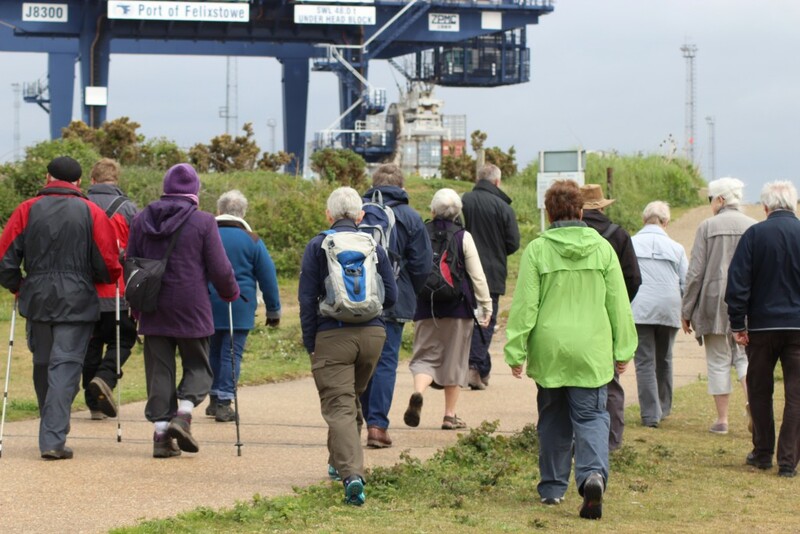 On a previous visit I was so taken with the nature reserve and docks that are close by, when I saw a walk being led by the Landguard Ranger it was too good an opportunity to miss out on! It was fantastic walking around the reserve with the ranger who was obviously so passionate about the site and the work being done there. It gave a lovely perspective on the walk that I would not have otherwise had. 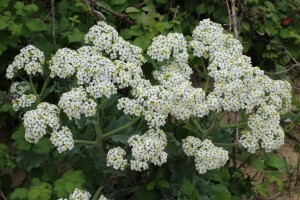 It was great to have an expert on hand to tell us about some of the plants and wildlife on the site and to show us around some interesting parts of the reserve that I would have not explored if I had been on my own. Now I know about them I will definitely be returning to spend more time there on another trip. There was a wide range of people on the walk; some on their own, some with partners, some with friends and lots with binoculars just in case! 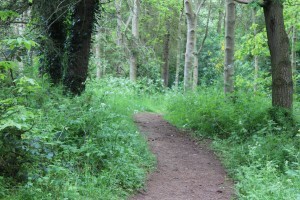 I have thoroughly enjoyed my first experience of the Suffolk Walking Festival. The printed programme that I picked up had lots of great information to help me decide what walk would be suitable for me, and the website was easy to use when booking my walks online. The walk leaders on both walks were enthusiastic and seemed to genuinely want to share their knowledge/ experience to those of us on the walk. I have enjoyed following on social media others who have been enjoying the walks, in particular those that went on the challenge walks the #Megawalk in particular 60 miles in 24 hours along the coast from Lowestoft to Felixstowe, hats off to all those who took part – amazing achievement and such a fabulous opportunity. I have learned a few things by joining in on the walking festival this year; Its absolutely fine to book on a walk on your own if you don’t have anyone to go with (in fact it can be better! It makes you talk to people you would have not otherwise have met!) Taking photo’s of wildlife is definitely not easy – by the time I had turned my camera on the birds has already flown away! and there are some rather interesting plants out there – Stinking Goosefoot for one, smells of rotting fish apparently – I will have to return sometime to see if it lives up to its name!